The digital age, with the current buzzwords of digital transformation and acceleration, is driving organizations to a new level of competition. There are four main effects. All products are either digital or have a digital component to them. Non-physical products like an insurance or a bank account are expected to have a full information and transactional experience through a phone app or other digital channel, but even very physical businesses like Do-It-Yourself stores need to create an online presence. Customers nowadays research online before they purchase offline (ROPO), and the DIY store that offers the best online experience wins the customer. Mass customization: the ability to tailor all client interactions uniquely to that client in a 1-on-1 conversation. Clients have come to expect this: it’s not a unique selling point anymore, it has become a hygiene factor. Features like recommendations, direct chat windows and personalization are commonplace. Fast response to customer feedback: a logical extension of mass customization and the culture of social media is that organizations need to make their customers feel truly heard and understood. Responding to feedback must be done quickly and effectively. There are many examples where a phone app gets very high ratings simply because the people behind it rapidly implement changes based on user feedback. This is not a new phenomenon: listening to customers and doing something about it has always been a good thing, but the rate of change and the amount of feedback are a lot higher in all digital channels. the cost of entry and scaling up has become so much lower that large and established rganizations cannot rely on their current market and scale domina nce anymore. There is too much focus on the archetypal disruptors like Uber and Airbnb. This makes for nice stories of heroic success, but there will always e new competitors in a market. The real problem is the large and established organizations that cannot keep up with the rate of change of the digital age. The digital age has shifted information technology from a secondary supporting resource to a primary business USP. Where some organizations could get away with a less than optimal or even bad engineering culture and ecosystem, they can not afford this oversight anymore. Organisations that already leaned heavily on IT are making it even more central to their business. This is perhaps best illustrated by a quote of Ralph Hamers, CEO of ING Bank: “We want to be a tech company with a banking license” (Ralph Hamers, 2017). Then there are the organizations who never had their own IT engineering capability in-house because it was not part of their primary business processes or because they did not have any digital products or presence. These organizations need to build up the fundamental infrastructure for an engineering ecosystem from the ground up. As IT consultants we’ve experienced this trend more and more in the past year. More than before we are the first in-house IT project for an organization, and we need to help that organization build up their engineering infrastructure from the ground up. We help organizations that struggle to hire and retain core IT talent by helping in their talent acquisition and retention. We get many requests for maintenance contracts that are not because the organization wants to outsource, but simply because they are not successful in getting the necessary people on board. Although this can be a good solution in some cases it does not get at the root cause we need to address: the “war on talent” can be won by a good engineering culture and ecosystem. 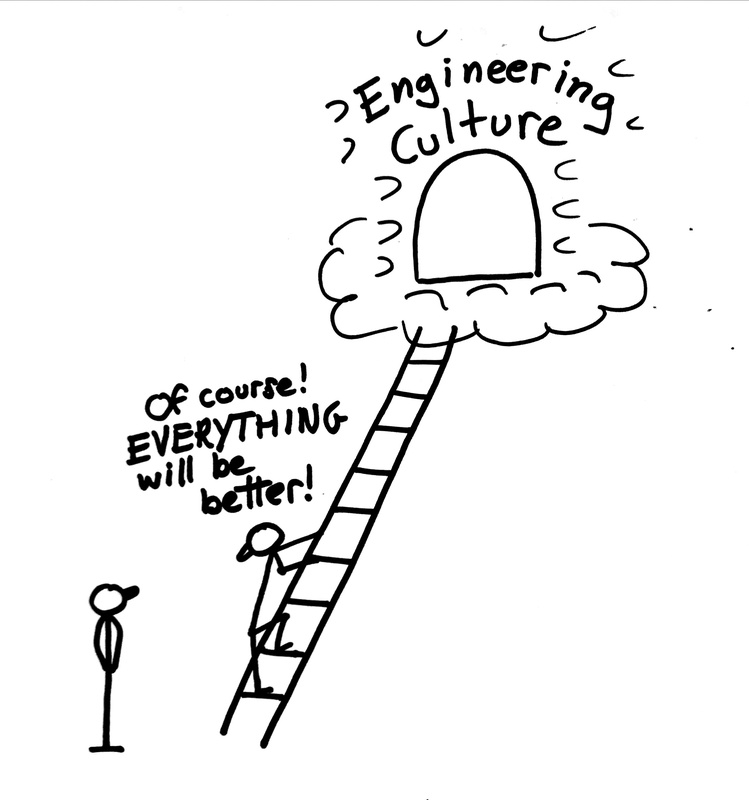 To attract and retain top IT engineering talent we need to understand the engineering mindset. To an engineer money is not the main motivator: it’s about challenge, safety, clarity, staying relevant, making a difference and being in an environment that does not impede. We will discuss all these aspects in the next post.